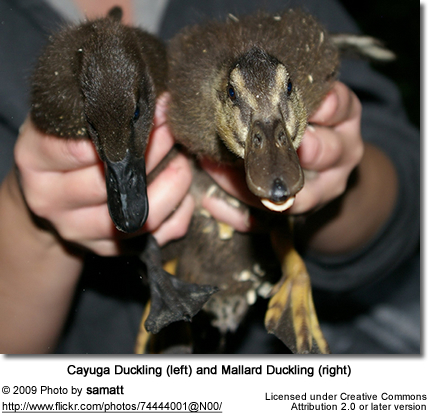 "Both the cayuga and east indie were bred from mallards. 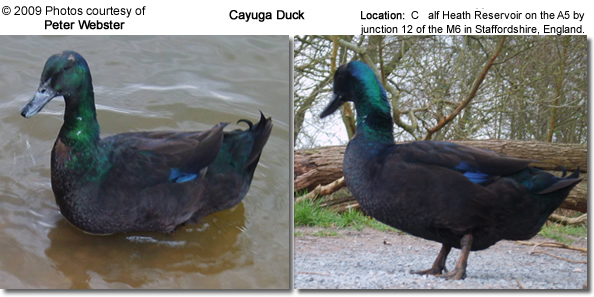 The black duck does hybrid with the mallard. 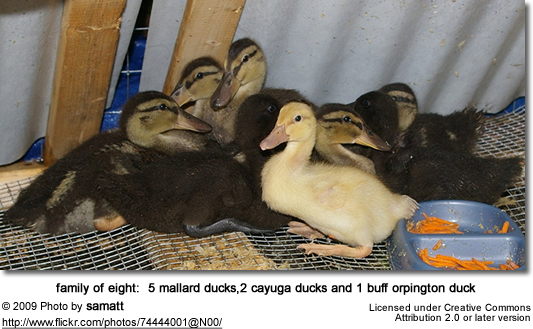 Mallard drakes really are not picky and go after other ducks without courtship." 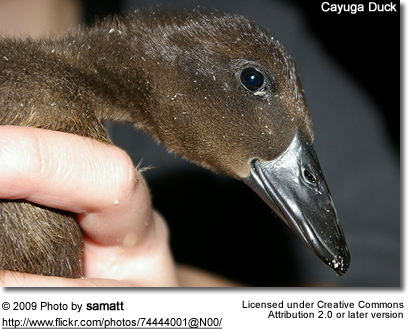 A Cayuga Duck is domesticated duck used for egg and meat production as well as an ornamental bird. 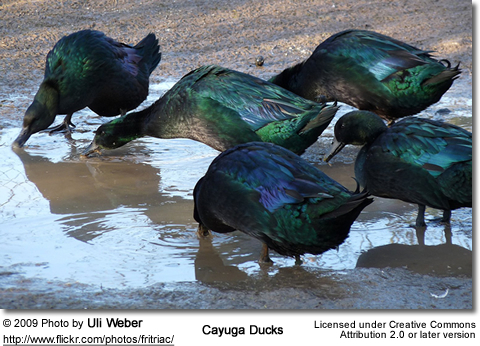 It is named after the Lake Cayuga in New York State, where the breed first occurred. The life expectancy for those kept as pets is 8 to 12 years. Adults weigh around 6 pounds, and are characterized by a black bill and black plumage which is an iridescent beetle green in the correct light. They have black shanks and toes. They are docile and not as noisy as Pekin Ducks. 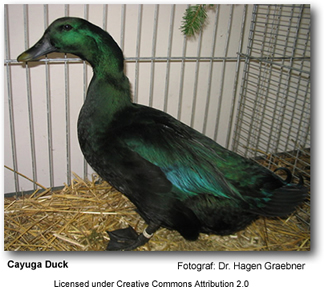 The Cayuga duck will more often sit on and hatch her eggs than other domestic breeds of duck. The average incubation period is 28 days. When using an incubator the temperature should be 99.5 °F at 86% humidity for days 1-25, and 98.5 °F at 94% humidity for days 26-28. This breed is listed as threatened by the American Livestock Breeds Conservancy.